The Nigerian way for guys to ask a girl out over text messaging has proven to work countless times. Of course this is for our friends who’ve successfully collected phone number of their crush but are totally noob on how to go about their next step, especially asking out over text. Yes, many of us frown at doing this over text, even myself don’t like the idea of asking a lady out over text, that I hate it doesn’t mean you too have to hate asking a lady out over text. If text messaging is your thing then here’s you definitive guide to asking her out over text and successfully getting her to give you a ‘Yes’. Don’t just send her a text that says, “hey” or even worse, “heyyy.” Come on man, you’re better than that. I know, deep down, you’re full of topics and conversation starters. If you send a one-worded text, you’re going to get a one worded reply – if you’re lucky. I imagine your eyes were slowly closing while reading that because mine were while typing it. It’s dull and lame. Start with a good opener. Ask if she’s watched a new movie that’s come out, or mention something funny or weird that happened to you. Whatever it is, please, just don’t make it a one-worded text. If you’re texting her, and you’re feeling that she’s not really feeling the conversation, then abort the mission. I repeat – abort mission. Maybe she’s grumpy or had an argument with her mom. And trust me, if you ask her out during that time, you may not get the answer you want. Women decide things depending on our emotional state at the time. If a guy asks me out and I’m already in a bad mood, I’m not thinking, “Say yes, because tomorrow you’ll be in a better mood.” No. Never. In fact, I’m probably wishing for everyone to disappear. So, timing is everything. Don’t all of a sudden stop texting her, but let the conversation die. And then text her later or the next day. That’s one of the things you really need to remember about how to ask a girl out over text. Okay, so she’s replying, and you’re finally having a conversation with her. Now, you have to keep the conversation going. If she’s a natural talker, then you won’t have any problem carrying on the conversation. However, if she’s more shy and reserved, ask her questions or find a topic that she’s interested in. If you do some slight research beforehand, find out what she likes so you have an idea of what to bring up if the conversation starts to run dry. But remember, if this is your first conversation with her *and it’s still a little rigid*, there’s nothing wrong with saving your question for the next conversation. If you rush it, it may feel too forced. You’ve been texting her for a while now, and you’re wondering when you should ask the question. Listen, let the conversation take its natural course. Don’t try to rush through the subjects like you’re ticking them off of the list. 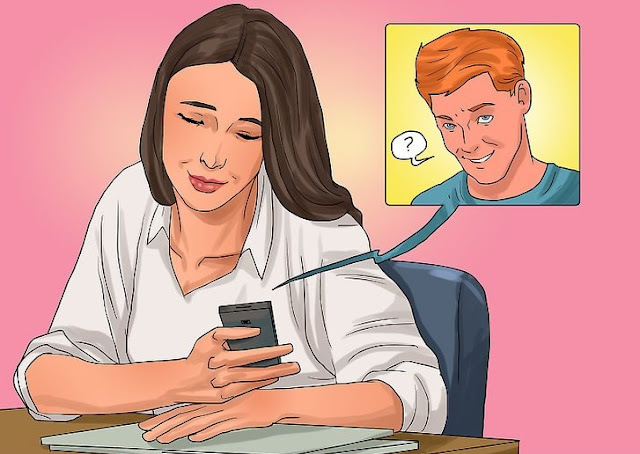 But, before you hang up, remember to ask her out. I mean, that’s why you’re talking to her, right? So, don’t get nervous all of a sudden – you made it through the conversation, so just finish it! If you’ve been wondering how to ask a girl out over text, then you have to, umm, actually ask her out. If you’re texting her, and there’s all of a sudden an elephant in the room, maybe it’s time for you to pop that question. Not the marriage one. The dating one. Let’s not get that far ahead. It doesn’t have to be a one-on-one date if you think she’s a little nervous. Ask her to the movies with a group of people. That way, you can have a casual encounter without having the feeling of it being a date. In fact, she’ll be more willing to come out if she’s with her friends – it’s like a security blanket for her. When she’s more comfortable with you, then ask her out on a solo date so you two can get to know each other more intimately. Have a plan ready for the date, whether it’s one-on-one or a group event. There’s nothing worse than when a guy asks you out, you say yes, and then he asks you what you would like to do. You asked me out! I thought you had a plan! This puts us in an awkward position to all of a sudden try and come up with an interesting date idea. We girls need time to prepare for that. And you do, too. So, do a quick search on the internet and see what kind of events are happening around your city. Maybe there’s a block party or a food festival going on. Have a couple choices ready and let her see which one she’s interested in checking out. Those are much better date ideas than going to see a movie – you can do better than that. So, if you really want to ask this girl out, then at least be somewhat prepared. This shows her that you’re able to take charge and actually take a girl out on a proper date. Girls like a man who can take charge of a situation. It gets us going. Manly24.com is the Number 1 Fashion and lifestyle online magazine for men. WordPress Theme built by Shufflehound. Copyright © 2019 Manly24.com. Designed by Crackmixer.